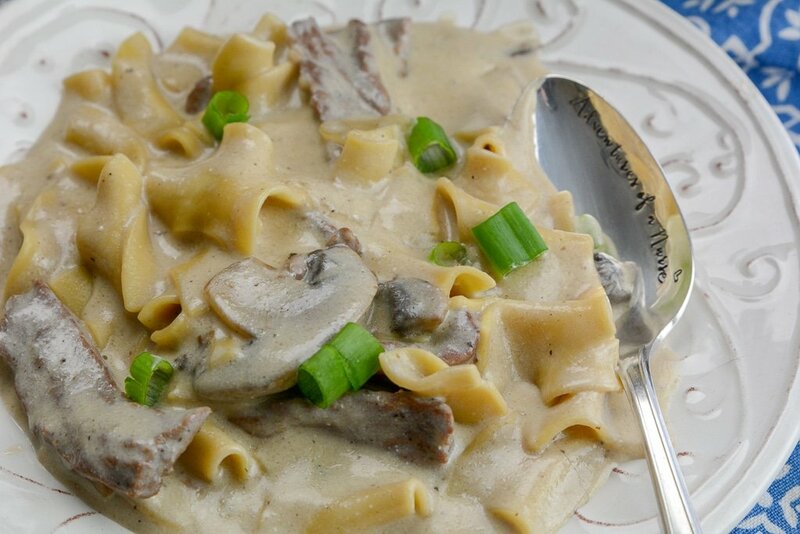 In just 4-minutes you can have this savory Instant Pot Beef Stroganoff ready to serve your family. This is a no-fuss dish that is so simple to make. You have tender pieces of steak, a creamy sauce, and perfectly cooked egg noodles. Serve alone or on top creamy mashed potatoes. 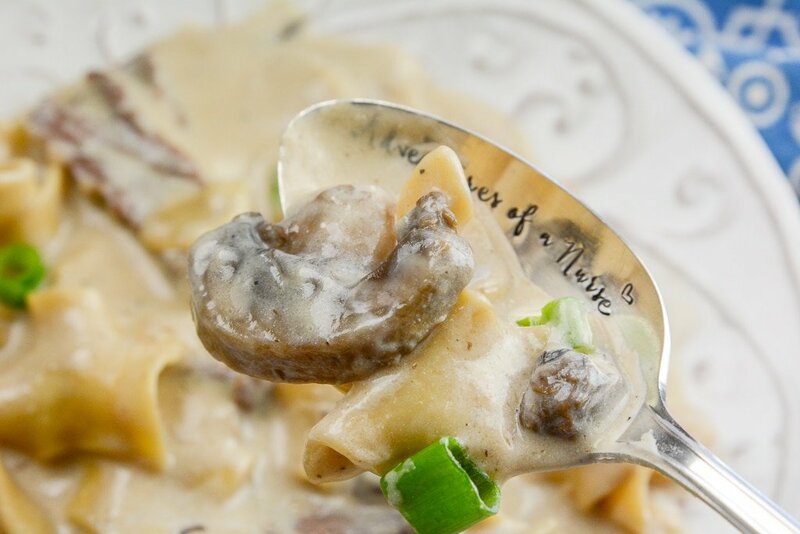 Hands down this will be the tastiest and easiest beef stroganoff recipe you will find. 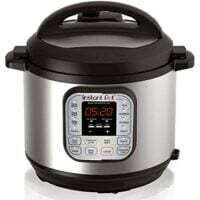 The beauty of the Instant Pot is it cooks your meals super fast but also it helps get the meat nice and tender. Have you ever had stroganoff with really chewy meat? It’s not that enjoyable, so I created this recipe for tender meat when the timer goes off. The electric pressure cooker really cooks the dish quick but also in the process helps tenderize the meat. I love meat that is extremely tender, I don’t want to feel like I have a wad of gum in my mouth. The other perk of your IP is it really helps blend all the flavors together and gives you that savory dish your dreaming of. I thought I would answer a couple of questions I get asked regularly. Cooking a new meal can make you feel nervous cause what if you don’t like it or it doesn’t turn out. I have been there before, many times. But I think if you like stroganoff or even the ingredients used in this recipe you might really be impressed with the end result! 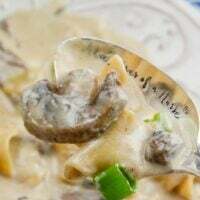 If you plan to freeze a portion of this instant pot beef stroganoff, then hold putting in the sour cream in the portion you want to freeze. If you do it will curdle a little during the reheating process. Just add sour cream to the portion you plan to serve and save the rest. Then reheat on the stove or instant pot and at the end toss in the sour cream. I recommend a leaner cut of meat like beef tenderloin or sirloin steak. When you use meat that is more tender you can reduce the cook time dramatically and not end up with chewy meat. You are even welcome to do hamburger ground up if you prefer, it will change the flavor slightly but it works. 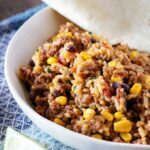 If you love Instant Pot Meals you will also like My SouthWest Burritos, Instant Pot Bang Bang Shrimp Or Better than take out Beef and Broccoli. 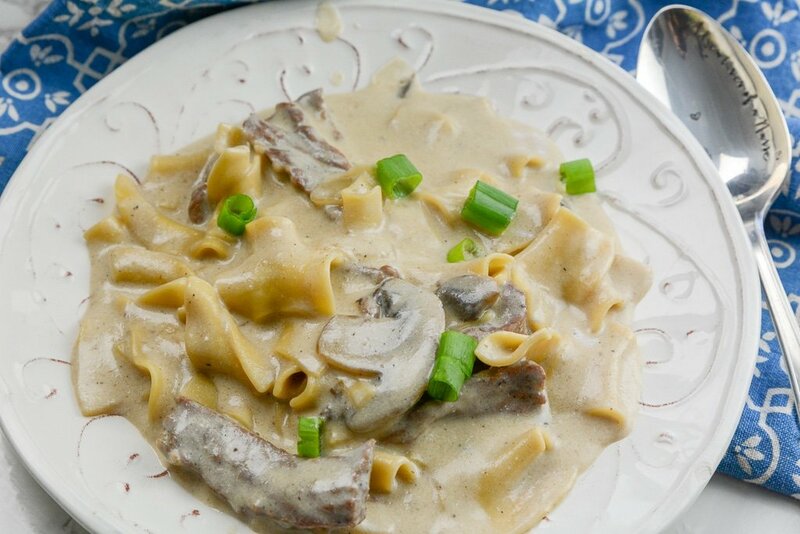 In just 4-minutes you can have this savory Instant Pot Beef Stroganoff with tender pieces of steak, a creamy sauce, and perfectly cooked egg noodles. Place IP on saute add butter onion and steak until butter is melted. Pour in broth egg noodles. Place IP On manual high pressure for 4 minutes. Do a quick release. Place on saute. Make a cornstarch slurry with water and corn starch and pour in. 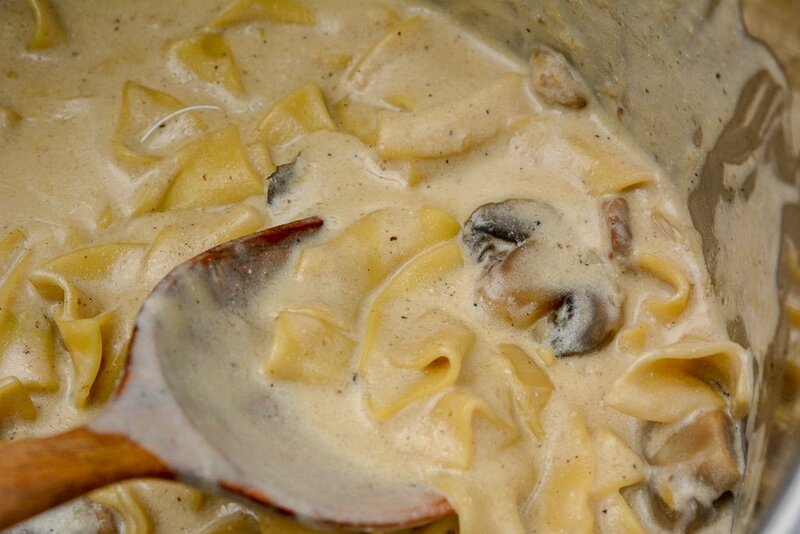 I love stroganoff, and this recipe looks quick and easy. I will be making soon. Thanks. 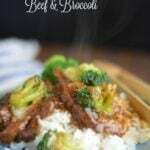 This recipe is in my IP right now! Thanks for sharing! 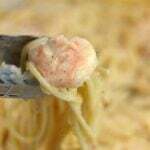 Are they dry , frozen, or refrigerated egg noodles? for my taste. I added some worchestertshire sauce, garlic, and some red wine. I will definitely make again. I made this last night but was afraid there wasn’t enough liquid to cover the noodles. So I added more. The favor was out of this world but ended up soupy. So if the noodles are not covered with liquid will they cook? If you only have frozen beef, how long would you cook it? 1. Why are there no spices in this recipe? It tastes good, but maybe some garlic or something added would help. 2. The printed instructions are a single step. It would help to break them out into separate steps as you outline above so that when you print it, the recipe has complete information on how to construct this dish. I am new to Instant Pot and I followed instructions literally, which means I didn’t cut the steak up (instructions above say to do this, but I was working with a printed only version). This recipe is indeed easy and delicious, but if you believe for a moment that you’re going to have this ready to serve your family in 4 minutes, you’re as crazy as the person who makes that claim. Not even close!! !